If you have access to the Student- or Staff Portal, you may log on to GUL via the button at the top right. Here you will find the courses and programs that use the University of Gothenburg's learning platform (GUL). The information shown here is public. To actively participate in a course and access all information, you must be registered for the course and logged on to GUL. 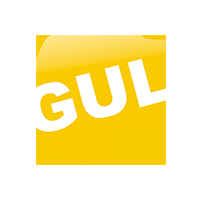 Programs that use GUL can be found via the entrance Study Programmes. Single subject courses that use the platform can be found either through Departments or by Subjects.